Continuing my new research into ReTweeting behavior, I also looked at non-alphanumerical characters and their relationship to new-school, native, ReTweets. Using a dataset now more than 1.2 million Tweets strong, I found two particularly impactful characters, which when present in Tweets tend to correlate with those Tweets being more likely to be ReTweeted: quotes and hashtags. 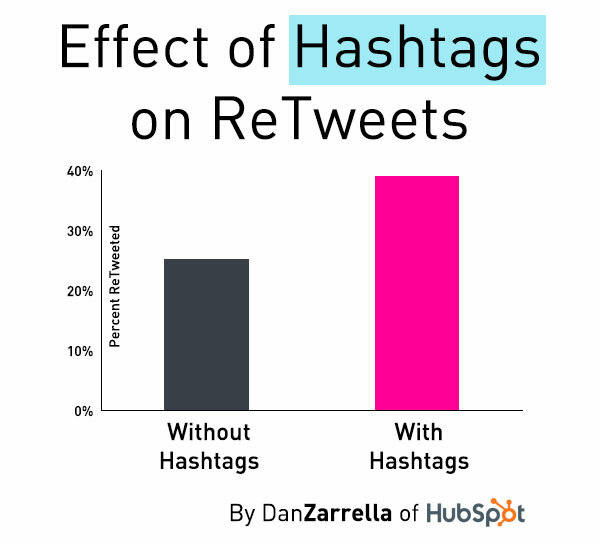 Tweets that contain one or more hashtags were 55% more likely to be ReTweeted than Tweets that did not. Thanks to the large dataset, there is a 99.9% confidence interval that Tweets with hashtags get more ReTweets than those without. I also found that quotes had a positive effect. 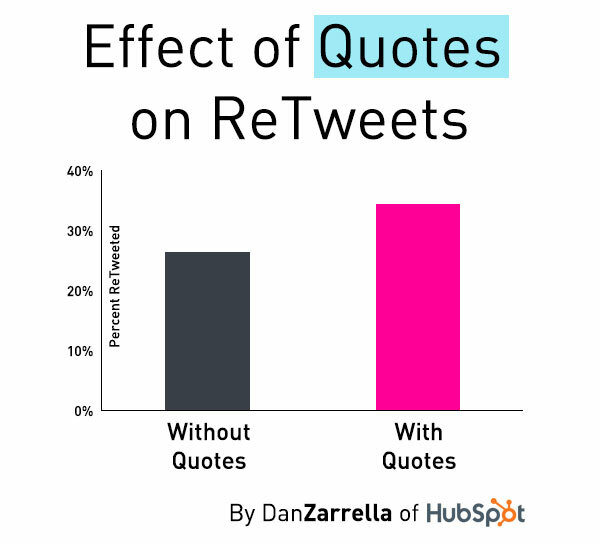 Tweets including quotation marks were 30% more likely to be ReTweeted than those that did not. Again, we have 99.9% confidence here.